This is a great Low Carb alternative to regular pasta and is so much healthier. 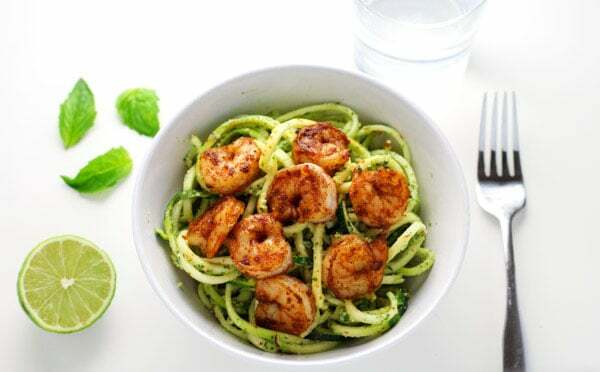 This Spicy Shrimp with Basil Lime Pesto Zoodles comes together in about 10 minutes and is so delicious! I just purchased a new spiralizer and was so excited to try it out! My old spiralizer was getting dull so I figured it was time to get a new one. I decided to go with a different brand this time. One of the food bloggers I follow Ali from Inspiralized created her own spiralizer , so I decided to purchase it and give it a try! The verdict is in… I love it! It’s actually a lot easier to use then my old one. There’s no need to switch out blades etc. At the turn of a knob you can easily pick which type of blade you want depending on what size ‘noodles’ you like. 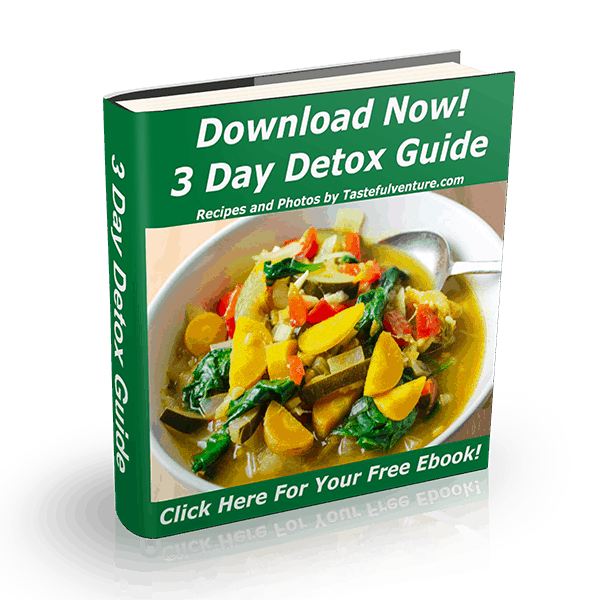 The recipe I created for this (full printable recipe below) is listed as a single serving. I still can’t get my son to eat Zucchini, so I just made enough for me. 🙂 But this recipe is easy to double etc. if needed. I started with 10 Shrimp. If buy frozen Shrimp just thaw it out first. 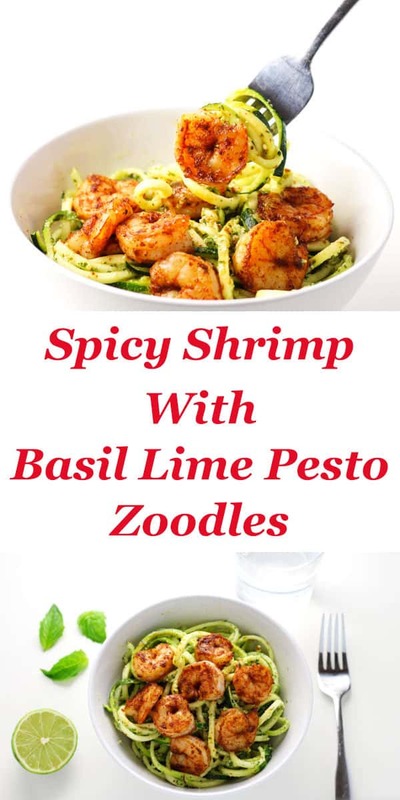 While your Shrimp is thawing you can make the Pesto. 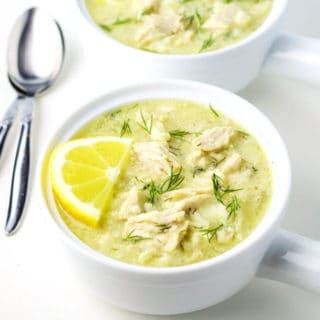 In a food processor or high speed blender add the Basil, Garlic, Lime Juice, Parmesan, Almonds, Sea Salt, and EVOO. Pulse or blend for about 30 seconds so it turns into a paste like consistency. If you like your Pesto thinner just add more EVOO. 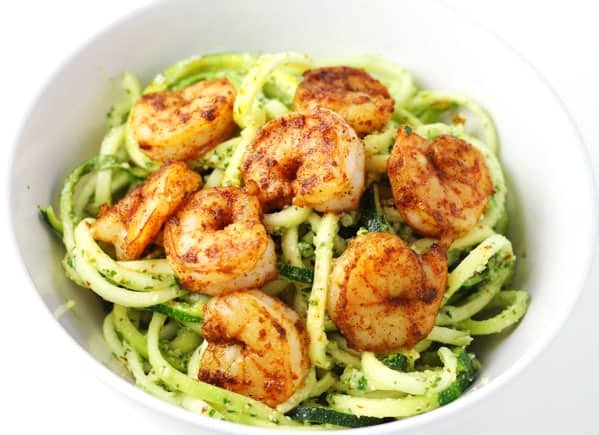 Trim off the ends of the Zucchini and place it on the spiralizer. I used Blade D for mine, if you’re using a different brand use the setting that will give you thin ‘noodles’. 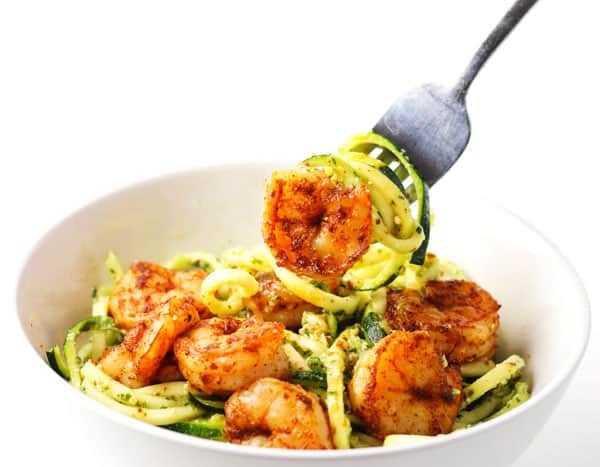 Add the Zoodles to a large bowl and set aside. Note: Add Pesto to the Zoodles just before serving, Zucchini tends to get watery the longer the Pesto is on the Zoodles. 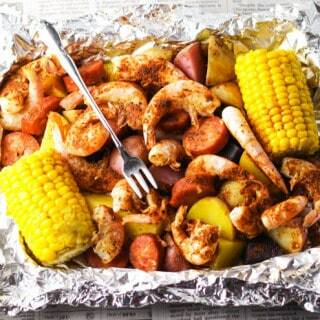 In a large skillet add 1 Tbs EVOO, Shrimp, and sprinkle Chili Powder and Garlic Powder over it. Heat on med-high heat, sauté for about 3-4 minutes until Shrimp is cooked all the way through. Mix the Pesto into the Zucchini and stir well coating all of the zoodles. Top with the Shrimp and proceed to chow down! I actually prefer my Zucchini ‘noodles’ uncooked because I like them crispy. If you want yours to be cooked you could add them to a skillet with a little EVOO on med-high heat, sauté them for a few minutes. Then add the Pesto and the Shrimp. If you cook the Zucchini ‘noodles’ they will become a bit watery. If you bought frozen Shrimp, thaw first. Place Shrimp in a small bowl and cover with cold water. Change the water every 10 minutes until thawed (about 20 minutes total). Start by making the Pesto. 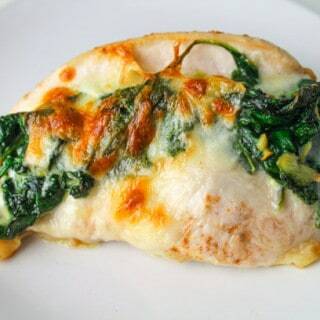 In a food processor or high speed blender add Basil, Garlic, Lime Juice, Parmesan, Almonds, Salt, and EVOO. Pulse about 30 seconds scraping down the sides in between so it turns into a paste like consistency. 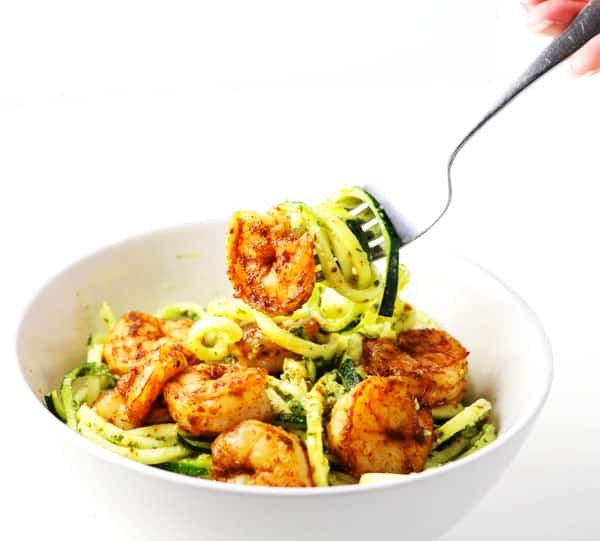 Trim ends of Zucchini and on the Inspiralized spiralizer use blade D to spiralize (if you're using a different brand, use the blade that will give you thin noodles). Add the Zucchini to a large bowl and set aside. 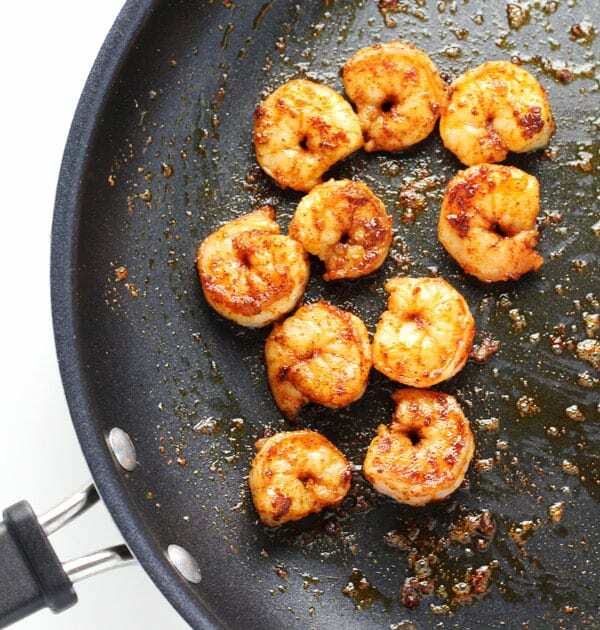 In a large frying pan add 1 Tbs EVOO, Shrimp, and sprinkle Chili Powder and Garlic Powder over it. Note: serve this right away, the longer the Pesto sits on the Zucchini the more watery it will get. I prefer to keep my Zucchini noodles cold because I like them crunchier. If you prefer, you can heat them up in a skillet with some olive oil for a few minutes as well. 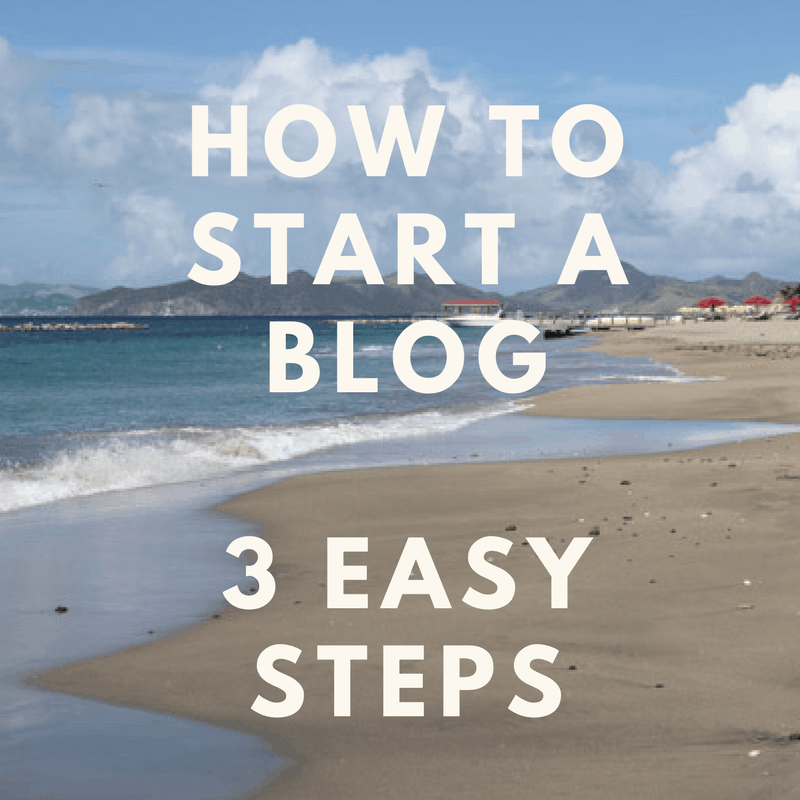 Disclaimer: there are Amazon affiliate links in this post.